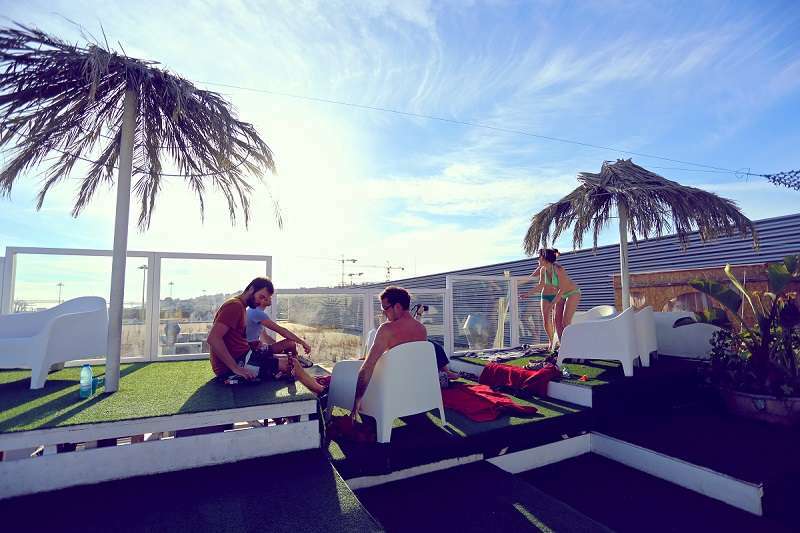 Sunset Destination Hostel, bring something completely new to Hostel category with its own terrace beach & pool (the sunniest place in Europe), overlooking the river passing few meters away. Enjoy with us the view to Lisbon Land Mark Bridge (Golden Gate style), where the ocean starts. We offer a courtesy buffet breakfast, free WI-fi around all hostel, and fully equipped kitchen all day. Everyday there are activities, such as free walking tours, surf classes, pub crawls, Fado tours, van tours and many other organized tours & dinners in budget that guests are invited to take part. Also available every day cocktail bar & massages by the pool. We are inside of Lisbon landmark, Cais do Sodré Train Station, in very centre by the river, so all transportation converges here. Entrance is from the outside of the station building. 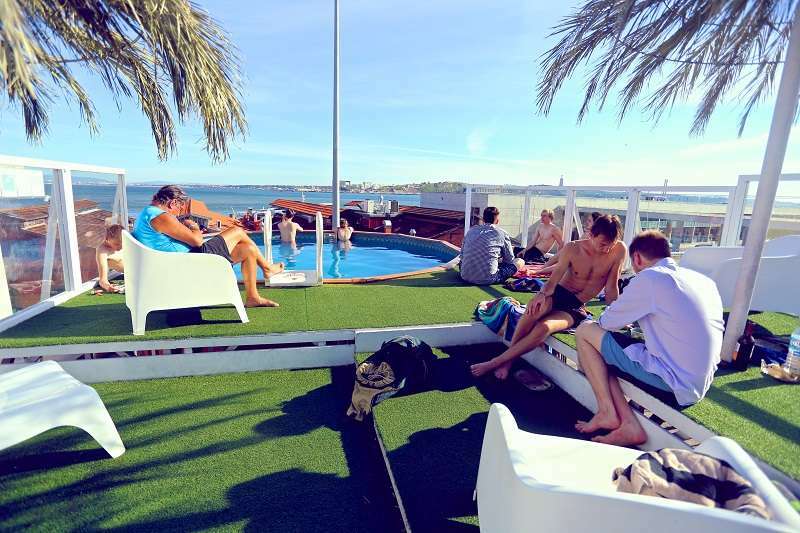 This train station connects to famous Cascais Village and all the more than 10 beaches on the way. If arriving from all destinations except Cascais, go to S.ta Apolonia Terminal Station, take the metro blue line to Baixa Chiado, change to the green line and go to Cais do Sodré (10 minutes). If arriving from Cascais, get off at the last stop Cais do Sodré Terminal Station, and... that's it, you're here! You will arrive either to Sete Rios or the Oriente bus stop. From Sete Rios, take the metro blue line to Baixa Chiado, change to the green line and go to Cais do Sodré. From Oriente, take the metro red line to Alameda, change to the green line and go to Cais do Sodré. Metro - take the metro red line to Alameda, change to the green line and go to Cais do Sodré (30-40 minutes). Bus - take the Aerobus 91 to the end of the line (30 minutes). Taxi - ask the driver to take you to Cais do Sodré train station. From the airport it should not cost you more than 15€. 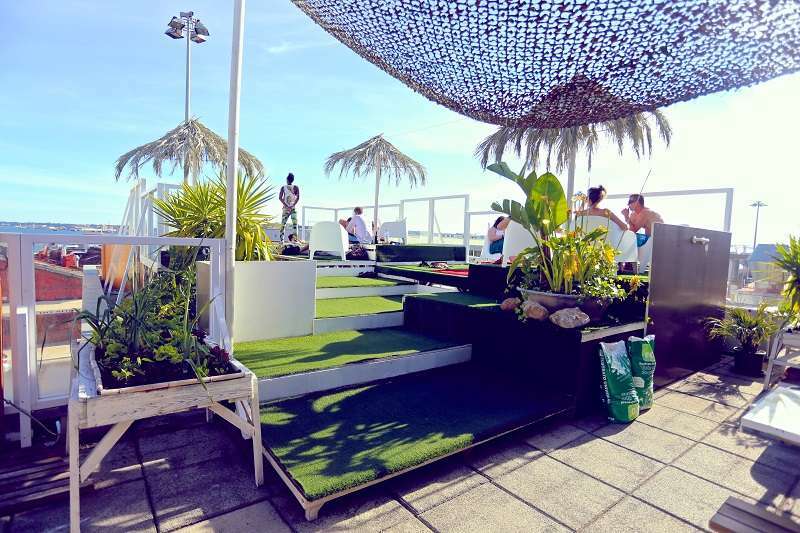 Take the green line to Cais do Sodré. Drive down to the river and find us at the beginning of Avenida 24 de Julho. This is a parking meter area but there is also a free parking nearby, just follow the street beside the river. We have a 48 hrs cancellation policy. Late cancellations and no-shows shall be charged up to the total amount of their booking. The hostel reserves the right of admission for children under 10 years old.